Can an Online Lawyer Network Bring You Business? Under this title, Attorney at Work published a list of online lawyer network sites as of the end of 2012. These range from lawyer/client matching schemes, to matter-bidding services, to free- or paid legal Q&A. Most serve lawyers in the consumer-facing law segment that previously relied on expensive mass-marketing approaches such as advertising, direct mail, etc. As the list shows, this category is growing, driven by the growing number of people in the US who can't afford to hire a lawyer at prevailing hourly rates. I'm only qualified to comment on business-to-business buying and selling, in which a group of stakeholders must decide how to solve a business problem that has a legal component. For that sector, I'd suggest amending the question to "Can an Online Lawyer Network Bring You Leads," rather than "-Business." Nothing, and nobody, can bring you business, except possibly another lawyer who already has the client signed up, and who needs specialized expertise (akin to a medical GP referring a patient to an orthopedic specialist). Most of those clients will accept their primary lawyer's referral and engage you for that part of the matter. However, it's still not a certainty. The client may not like your style, or may have other biases that cause them to say, "No, thanks." Engaging a lead-generation service allows lawyers to delay the need for them to take any personal marketing or sales action. That's why they're so willing to outsource lead-gen. That's understandable; most lawyers don't like marketing or selling. In fact, there's even some wisdom to it since few lawyers know how to establish a visible market position that would yield a sustainable stream of leads. The last one cannot be outsourced. At some point, the lawyer has to be able to convert a potential asset into an actual one, and that requires skill and experience. Too many lawyers end up with leads that they have no skills to convert into clients. Since few lawyers track their lead conversion ratio, most don't know what percentage of leads they convert into clients. That makes it hard to know how many leads you'll need to reach your financial goals. If your leads are poorly matched with your purpose or fees, you have a lead-quality problem. There's no reason to invest in more of those. Change your messaging to attract the right kind of prospects. 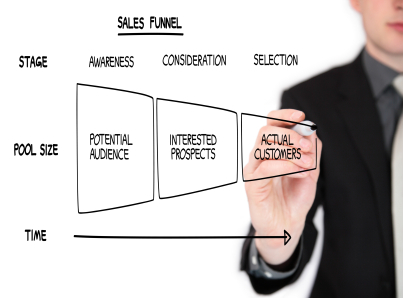 If your leads are well matched with you, you need better conversion skills. The good news is that you can learn those. Returning to the headline's question, the simple answer is "No, with some exceptions." There are many ways to get help bringing prospective clients to you, but there's no reliable way to have somebody else bring you clients -- signed, sealed and delivered. Someone, either you or someone you hire, has to do the selling. Lawyers already engage frequently in one lead-generation investment: networking events. Learn how to maximize your return on these time-intensive activities. Go to RainmakerVT's simulation, Networking Events: Progress from the Doorway to a Sales Opportunity--Comfortably, and learn by doing. RainmakerVT is the most innovative, effective, convenient and affordable business development training you can get. And you don’t have to commit to a long, drawn-out training program. RainmakerVT is just-in-time training. That means that In 15-30-minute chunks, available from any computer or tablet 24/7, each course teaches you a concrete, practical skill you can apply right now, to the immediate challenge in front of you. Buy only what you need, only when you need it.